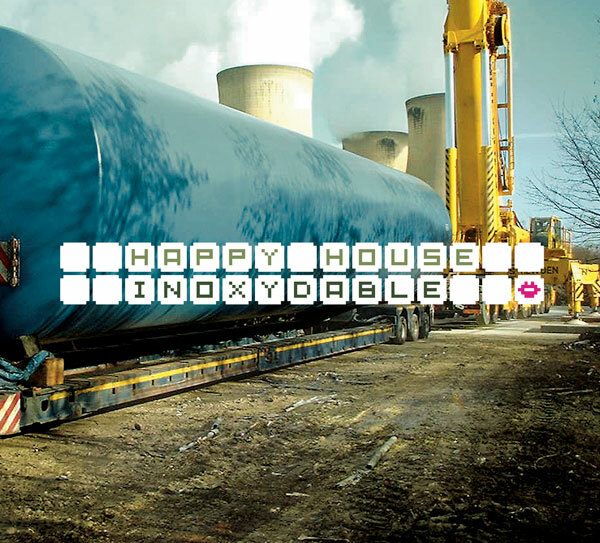 Band formed in 1992 by Olivier Benoit, Happy House includes experienced musicians who, after a decade in the spheres of contemporary French jazz, hit a remarkable individual and collective musical maturity. Members of the Orchestre National de Jazz, multiplying collaborations with musicians as Christophe Marguet, Claude Barthelemy, Joëlle Leandre, Martial Solal, Dave Liebman, the four musicians continue serenely their respective careers. Happy House recently celebrated its 15th anniversary. For this anniversary, Happy House has created new music, temporarily taking his distance from the influence of free jazz of the previous period. Olivier Benoit had fun playing against what was the personality of the orchestra, writing an exclusively melodic music, seemingly simple, but influenced by the rhythmic play and sound of rock music, playing and beating effects melodies used in loops (without machine). Enregistré, mixé et monté au Studio Lakanal à Montpellier par Boris Darley en octobre 2007. Mastering chez Marwan Manley Mastering à Paris par Marwan Danoun.